Contemporary beachfront bliss! 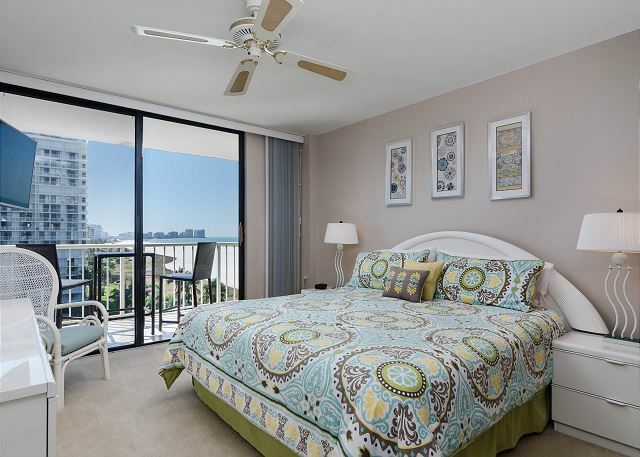 Enjoy a tranquil getaway and wake up to gulf views from every room of this clean, well-equipped unit in South Seas Tower 3. 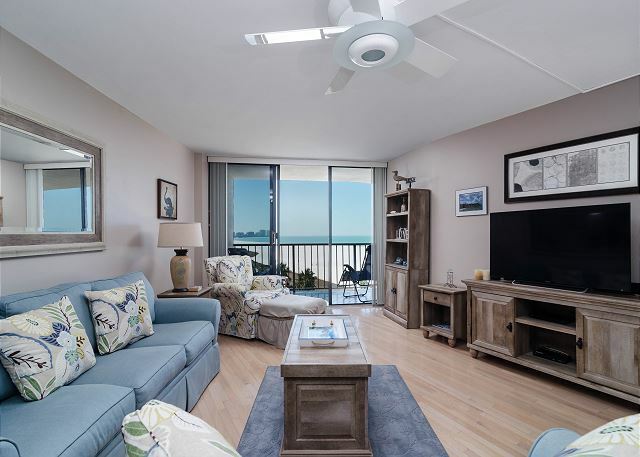 The wraparound lanai is accessible from both bedrooms and stocked with 2 bistro tables and chairs and 2 zero gravity lounge chairs for kicking back and enjoying the stunning view down Marco’s famous crescent beach. 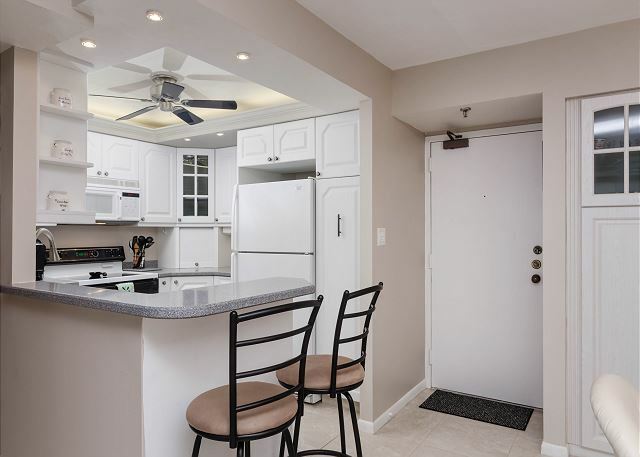 An updated open kitchen with breakfast bar overlooks the dining room and living area, which is complete with comfortable couches and a 48” Smart HDTV and Blu Ray player - perfect for movie nights in after long days in the sun! We stayed in 3-807 with our girls, ages 16 and 12. We arrived late and Scott met us there to get us checked in. Communication with Holiday Life was terrific. 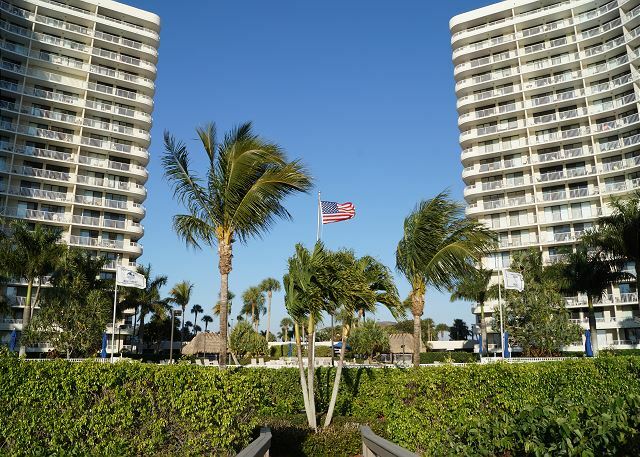 The condo was well maintained and Clean - we rent 1 - 2x year and this is the cleanest place we have been in, which speaks volumes to me. 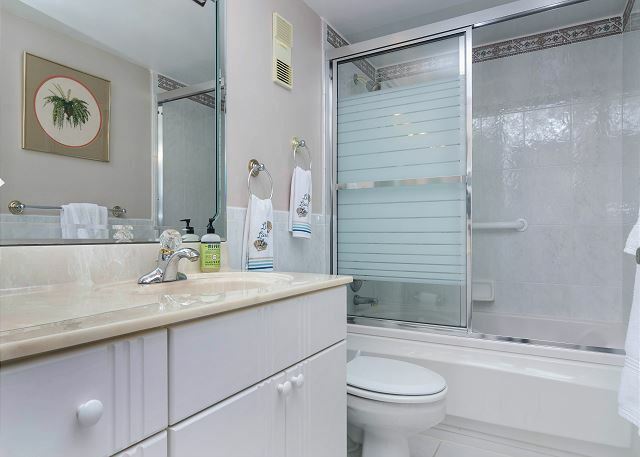 Sheets and an ample supply of towels were provided all in great condition. 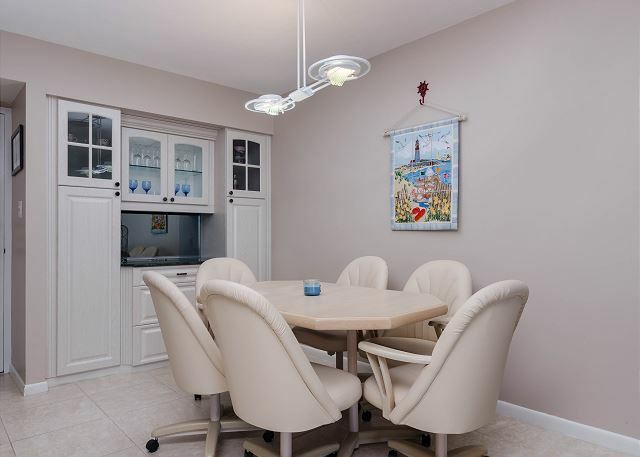 The kitchen was well stocked with appliances and small things such as coffee filters, several garbage bags, dish soap and paper towels were provided. Beach towels, chairs and an umbrella were also provided for use which was great as we flew here and have had to buy these things only to leave them in the past. The pictures are accurate on the website, parking was ideal and close and the grounds are beautiful and very well cared for. We had an excellent week here and would recommend it! Very nice. The only issue is that the pool was very crowded. 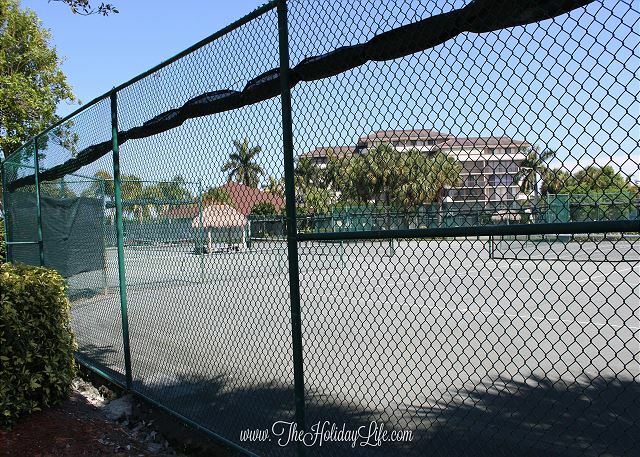 Loved the Pickleball community. Thank you, Denise! The pool is so enjoyable at South Seas, everyone wants to be there! Hope to host you again in the future. 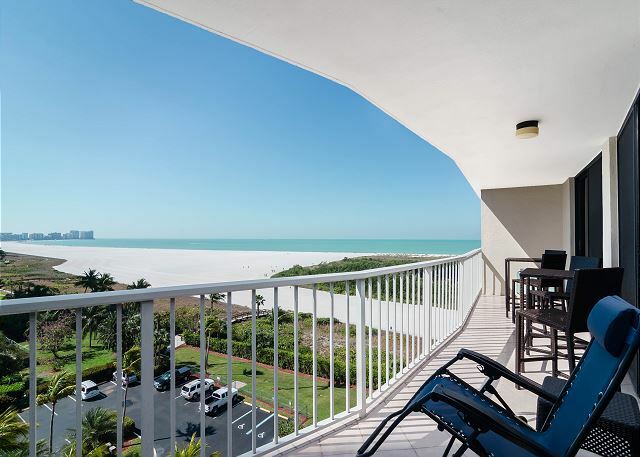 Beautiful view and lovely condo. We enjoyed our time here and would love to return! Thank you, Barbara! 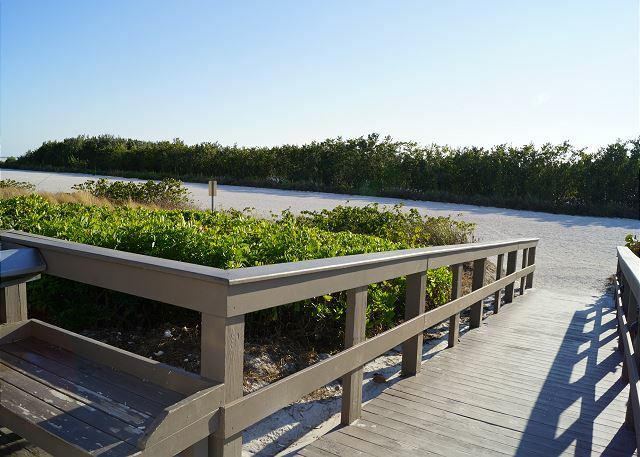 The view is breathtaking at South Seas! 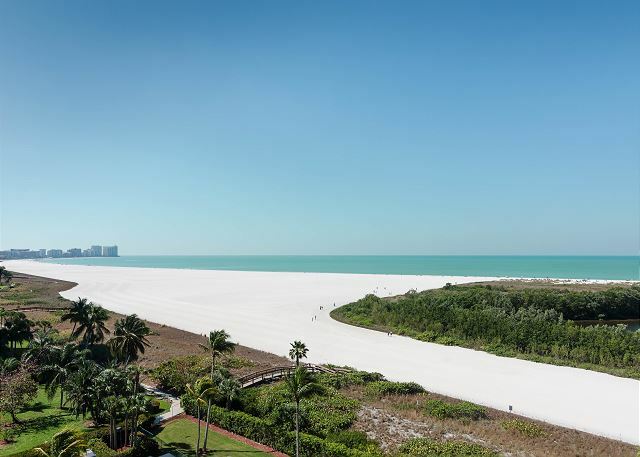 Next time you visit Marco Island, we would love the opportunity to host you again! Couldn't ask for a better experience! Condo was very clean and comfortable. Cannot think of anything we would have changed to make it better! Facilities were wonderful. Pool was very warm, which makes a huge difference for me!! Will be back again. Thank you, Terri! 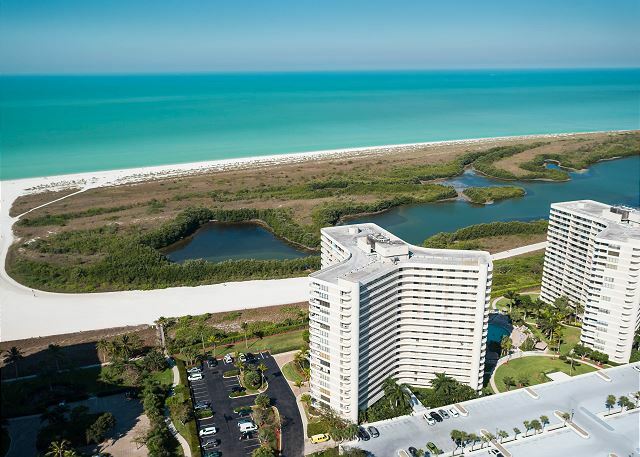 We're thrilled that you had a wonderful vacation in Marco Island! See you next time! 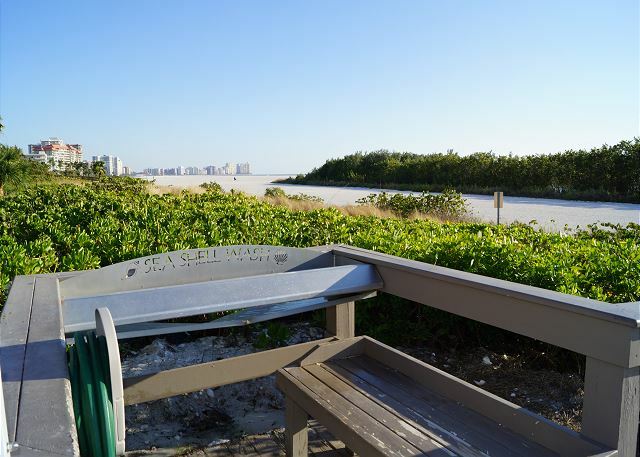 Awesome Condo with a Fabulous View! 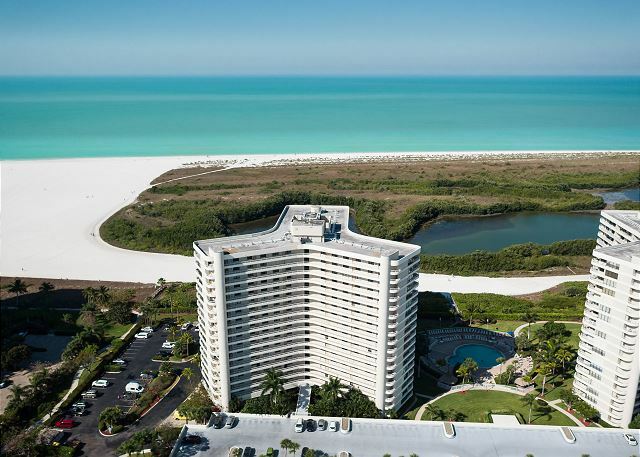 This was our first time to Marco Island & we will definitely be back and hope to stay in the same condo. 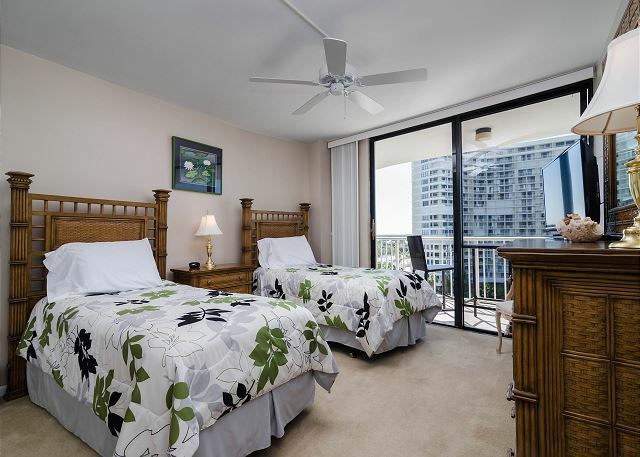 3-807 was very clean & the owners provided everything you may possibly need for vacation. These items inclused beach towels, chairs, umbrellas, rolling cart, and other items you may have forgotten such as sunscreen, beer coozies, water bottles, etc. The balcony view was beautiful & the beach is very wide. The ocean was about a .3 mile walk on beautiful white sand. Very impressive! Sounds like you had the full Marco Island experience, Doretta! We're thrilled you had a wonderful vacation! Can't wait to have you back! Beautiful place with a spectacular sunrise view.